Looking for a chandelier with a rustic, country feel? Then you’ll love the chandeliers from Brandenberry Furniture. 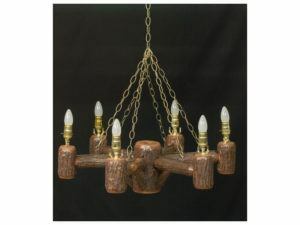 Amish artisans handcraft each farmhouse chandelier from natural hickory wood. Plus, we can customize it to your specs. One-of-a-kind construction highlights the Hickory Old Country Chandelier. 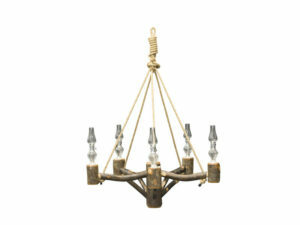 Fine hickory wood accents the Hickory Old Country Chandelier with Kerosene Lamps. Imagine one or more of the beautiful chandeliers from Brandenberry Amish Furniture in your home! Amish craftsmen custom-make each wood chandelier from natural hickory wood. And the Amish men pay the highest attention to detail. So you can count on the candle chandelier or kerosene lamp chandelier you choose to graciously light your home for years to come. Wish to customize? Go right ahead. Because you can choose from a huge selection of paint, stain, fabric and distressing options. Just ask one of our qualified product specialists to assist you.